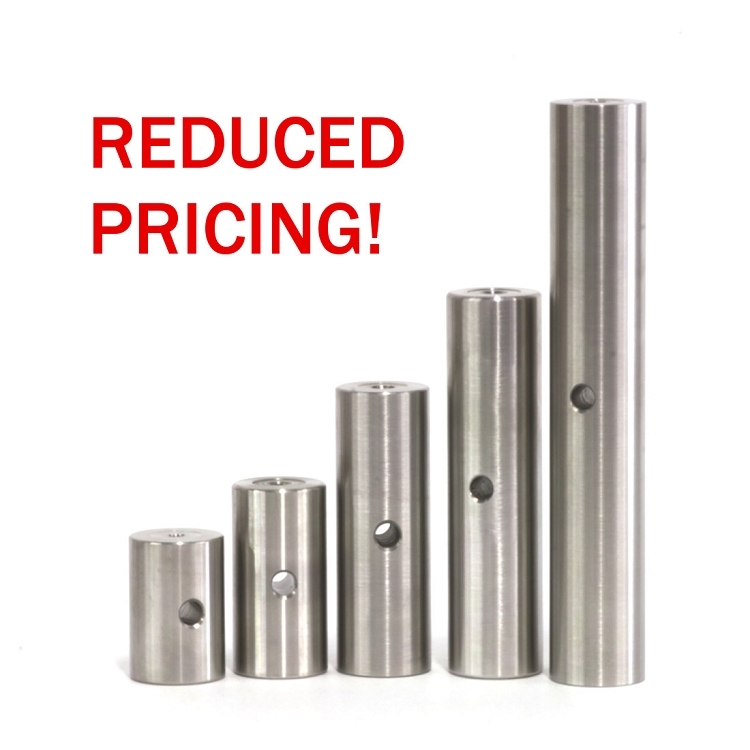 Ø1" stainless steel mounting posts are used in applications where rigidity and stability are most critical. Mounting critical components on these fixed height non­magnetic, stainless steel posts over Ø1/2" posts can provide a more stable starting point for an optical setup. These posts are tapped with a 1/4-­20 at one end to mount directly to the optical table or base and an #8­-32 on the other end to directly mount component holders like mirror mounts and fixed optic mounts. The post also has a Ø1/4" hole through the middle to allow a ball driver or L­wrench to be inserted providing extra leverage when tightening or loosening the post. A relief cut has been provided on both ends to ensure proper seating.